With an intuitive web-based, menu-driven interface that requires no knowledge of programming languages, the RAM event engine can quickly be configured to trigger I/O or send SMS messages based on operational data. 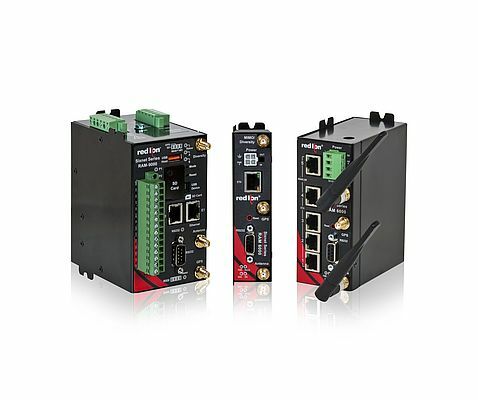 Industrial Internet of Things (IIoT) Cloud Connectivity – Red Lion’s RAM® industrial cellular RTUs feature cloud connectivity, which allows for reliable, secure and scalable communication to leading IIoT cloud platforms. RAMQTT, Red Lion’s native MQTT client, simplifies implementations with pre-configured profiles for Microsoft Azure®, AT&T® M2X, Amazon® AWS™ IoT, AutoDesk® Fusion Connect, Nokia IMPACT, Cumulocity, and Telenor Connexion. This functionality enables organizations to easily establish communication and start pushing data to select cloud platforms in minutes.